Let’s face it, joint pain may be a growing concern amongst aging baby boomers, however, as an investment, it’s boring. Wound care, even more so. Yet, niche companies targeting these monotonous segments are taking advantage of healthcare trends, and many investors are missing out due to the appeal of companies developing the next cancer “breakthrough” that doesn’t materialize. Horizon Pharma’s (HZNP) growth in the last year (up nearly 500%) is a prime example of a “boring” company flying under the radar. Using similar growth tactics as Horizon, Alliqua (OTCQB:ALQA) is a niche wound care player that should not be overlooked by investors making the same mistake twice. Horizon is a specialty pharma company with four US marketed products that target therapeutic needs in arthritis, pain and inflammatory diseases. Since 2010, the company has seen exponential top line growth, yet has struggled with profitability. Organic growth has been fueled by Horizon’s developed brands, Duexis and Rayos. However, as seen below, these two alone could not support the expenses. In November 2013, Horizon acquired the struggling osteoarthritis drug, Vimovo, from AstraZeneca for $35M. Earlier in 2013, AstraZeneca had planned to cease promotion of Vimovo in the US and many European countries, as sufficient future potential could not be realized. AstraZeneca had filed applications in 80 countries, but only launched Vimovo in about half of them. Essentially, Horizon was purchasing a drug that a Big Pharma had pulled the plug on and as a result, bought at “liquidation” price. With the acquisition of Vimovo, a drug suitable for Horizon’s existing portfolio, the sales force was extended from 150 to 250 representatives that focused on Duexis and Vimovo. In addition, a specialty sales force of 40 representatives was responsible for Rayos and Vimovo. In total, there were nearly 150 additional sales professionals hired as a result of the Vimovo acquisition. That’s quite a capital allotment for a drug “thrown away” by Big Pharma. In Q1 2014, Vimovo contributed gross and net sales of $50 million and $34 million respectively, after deducting sales discounts and allowances to Horizon’s income statement. In this quarter alone, Vimovo achieved 60% more sales than AstraZeneca did in 2013. The investment paid off for Horizon, which amortized the acquisition cost in about a quarter of sales. In March 2014, Horizon continued its acquisition strategy by buying private company Vidara Therapeutics for $660M, of which $200M was cash. Similar to the Vimovo deal, Horizon expanded and diversified its revenue base through Vidara’s Actimmune, a biologic for chronic granulomatous disease (CGD) and severe, malignant osteopetrosis (SMO). Actimmune had revenues of $59M in 2013, so even assuming no growth, the deal could be amortized in just over three years ($200M/$60M). Going forward, Horizon believes there is potential for label expansion and expects Actimmune to contribute better results through enhanced promotion. Given Horizon’s familiarity with good ROI acquisitions and effective promotion, the market took this deal as bullish news. As shown in the graph above, Horizon gave 2014 net revenue guidance of $270-280M, or a near three-fold over last year’s results. The demand for Horizon’s drugs is increasing, as prescriptions are growing on a monthly basis, according to IMS data. This should offset issues regarding market saturation and generic competition. More importantly, once the deal for Vidara is complete, the new “company” will be organized under the laws of Ireland, with the company’s US operations continuing to be based in Illinois. Since Vidara is based in Dublin, Ireland, the tax rate of Horizon is expected to be in the low 20 percentile, rather than the expected high 30% Horizon were to have otherwise. This corporate inversion strategy has been getting a lot of attention lately due to the Pfizer and AstraZeneca rumored deal, as Pfizer was trying to dodge higher US tax in turn for lower-tax jurisdiction. Having an Irish address indicates two things for Horizon. Profitability, which the company has struggled with, is imminent, and Horizon could be the talk of the increasingly popular cross-border deals. Both cases should be more than welcomed by shareholders. Horizon’s acquisition tactics, which have positioned shareholders for incoming benefits, are a result of the efforts of Timothy Walbert, its chairman, president and chief executive officer. Walbert has proven success with products that target the same indications Horizon is focusing on. While at Abbot (now AbbVie), Walbert was responsible for the creation of Abbott Immunology through the approval, launch and commercialization of Humira for the treatment of rheumatoid arthritis. Humira became the most successful launch in Abbott’s history, and has been a top-selling drug globally. Walbert’s strategy, as seen by acquisitions above, accomplished what AstraZeneca couldn’t with Vimovo and what Pfizer couldn’t with its rumored AstraZeneca merger. 2014 is the year that Vimovo and Actimmune sales will be integrated, thus leading to record revenue figures and potential profitability. On a non-GAAP basis, the first quarter of 2014 was the first profitable and cash flow-positive quarter for the company. Investors should expect this trend to continue for the rest of 2014. Alliqua, a growing name in wound care, seeks to build a portfolio of products that can take care of a wound from the initial diagnosis to final closure. As CEO David Johnson explained, the tactic is to expand its suite of technological solutions through acquisitions. In November 2013, Alliqua reached an agreement with Celgene (CELG) to develop and market the placenta-based wound healing product, Biovance. With the launch of Biovance in April, Alliqua penetrated one of the fastest-growing segments in the wound care market; placenta-based treatments. To complement the launch of Biovance, the company appointed the expansion of a dedicated sales force that will focus solely on Alliqua products. Strengthening brand awareness through an aggressive campaign will be critical for driving organic growth, a tactic that distinguished Horizon’s Vimovo approach from AstraZeneca’s. Alliqua also expects to obtain reimbursement under Medicare/Medicaid, which is expected to further assist in the adoption of Biovance. Due to the prolonged reimbursement procedure, accelerated ramp-up of Biovance is expected by year-end 2014. Prior to the Biovance launch, Alliqua raised $20.3 million in a series of transactions that included a $15.0 million private placement of common stock and warrants, and $5.3 million from the exercise of warrants from several institutional shareholders. The figures behind this funding suggested a vote of confidence from the involved parties. The strike price of the included warrants ($10.50/share) was at a 55% premium to market price, an encouraging sign denoting strong demand by long-term investors. Additionally, the $5.3 million raised from exercised warrants was a corporate action taken five years prior to expiration of the derivatives. The latest filing showed Celgene raised its stake in Alliqua to 20% ownership, validating the company’s operations further. With the proceeds from the transaction, Alliqua had a total cash balance of approximately $30M. The company intends to expand its suite of technological solutions through acquisitions, and to develop its sales infrastructure. It did not take long to apply this strategy, as Alliqua strengthened its sales force (above) and made the first strategic acquisition (below), all within a month’s time. Acquisition of Choice Therapeutics: First of Many? In May, Alliqua acquired Choice Therapeutics, a privately-held company best known for its TheraBond 3D® Antimicrobial Barrier Systems technology used in burn centers nationwide. As part of the $4M ($2M cash and $2M stock), Alliqua acquired Choice’s technology platform and sales and marketing team. This acquisition is expected to be accretive to earnings. The Earnout Payments table (below) can be used to get a range of Choice Therapeutics’ potential contributions. Additional contingent payments of up to $5 million in stock or cash will be paid out if stated revenue thresholds are reached over the next three years ending April 30, 2017. 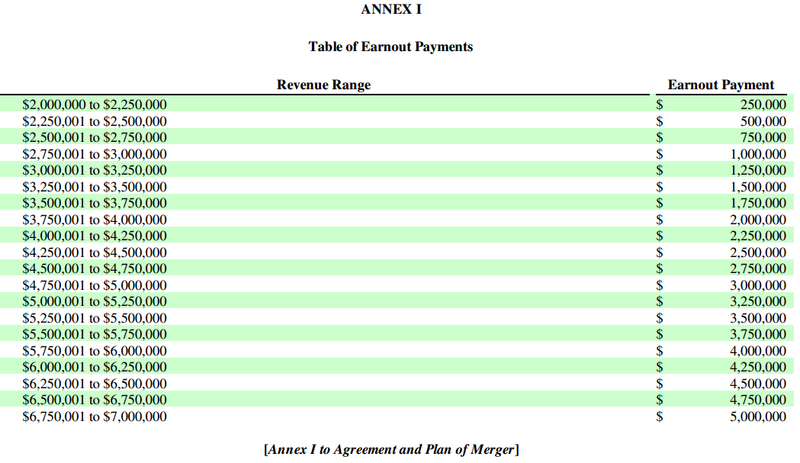 The revenue range is from $2-$7M. Assuming that Choice is able to hit a midpoint of $4M/year, and also assuming no growth to this figure, a basic NPV analysis would indicate that Alliqua could net a 100% ROI from this acquisition. Alliqua’s strategy and David Johnson‘s past indicate that more deals like the one above are in store. Prior to Alliqua, Johnson was President of ConvaTec, Bristol-Myers Squibb’s wound care division. Under his tenure, ConvaTec grew revenues from $600M to approximately $1.7B. In 2008, ConvaTec was acquired for $4.1B by Nordic Capital Fund. Johnson’s strategy at ConvaTec was to grow the top line through product developments, primarily from smaller acquisitions. Similar to how Timothy Walbert came from a linked Humira background to develop Horizon, Johnson has shown success in producing a billion-dollar wound care company. Obviously, this bodes well considering Alliqua is taking the same growth route. Niche companies may not necessarily get the “style” premium from the investment community, however, as Horizon has proven and Alliqua’s trajectory will prove, substance exceeds style. Both companies strategize by seeking accretive horizontal acquisitions that drive imminent top line traction. It’s just as important to have a proven leader that can support the integration of such growth strategies through an effective sales infrastructure. The combination of both sales forces, plus a comprehensive line of value-added products could enable niche companies to generate impressive sales relative to their size. Horizon and Alliqua have the approach down pat: it’s up to investors to realize. 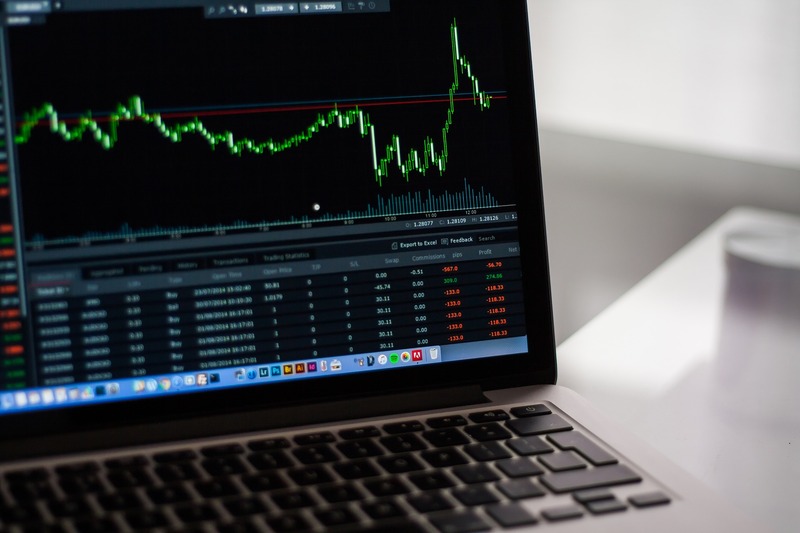 Editor’s Note: This article discusses one or more securities that do not trade on a major exchange. Please be aware of the risks associated with these stocks.